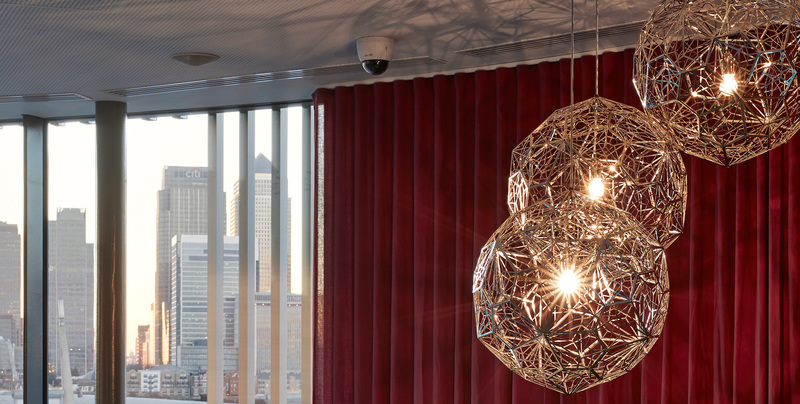 The Peninsula has long been a stomping ground for British industrial designer Tom Dixon. From age five, Dixon and his family lived in Blackheath, just up the hill from Greenwich. “We used to go to the Cutty Sark, so I have vivid memories of the maritime history of the area.” Given this, it wasn’t tricky to convince Dixon to contribute his high-concept interiors to a limited-edition series of SOM-designed apartments and lofts, housed within the new Upper Riverside district. “The idea was to make them a bit grittier, a bit more ‘British’ in a way—to try and bring in some warmth and realness,” says Dixon. 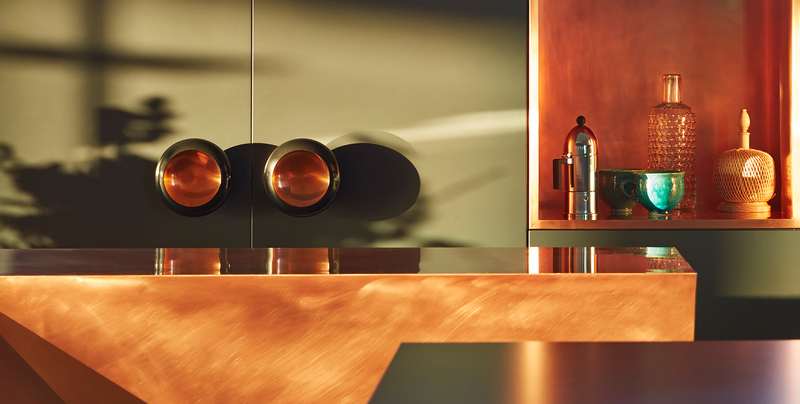 Working with a British craftsman from Wiltshire, Dixon has created copper-clad cabinetry and bold, freestanding anvils for the kitchens, while the bathroom walls are clad in glazed bricks, which reference the traditional salt-glazed bricks that have been used in London for centuries. This is indicative of Dixon’s self-taught entrée into the design world. He is infamously untutored in any traditional sense, and first found an affinity for materiality, manufacturing and form— concerns that are at the roots of his working practice—while attending Holland Park Comprehensive in the mid-1970s, which had a decent pottery department and life-drawing stream. His first lesson in welding came in a car body repair shop in South London—skills Dixon was quick to appropriate to create salvaged-metal furniture. A doodle of a chicken turned into an idea for his signature ‘S-Chair’, which circuitously propelled him to the Italian luxury goods industry (the chair is now held in the permanent collection of the Museum of Modern Art in New York). Though Dixon held down a day job with retail giant Habitat for most of the early 2000s, he established his eponymous furniture and light brand in 2002, which was shortly followed by Design Research Studio, a firm that develops high-concept interiors for restaurants, hotels, shops and corporate headquarters the world over, including, recently, London’s Mondrian Hotel, and Paris-based restaurant Éclectic. Dixon now keeps his own HQ in the Portobello Docks on Ladbroke Grove, a giant warehouse space that also houses Stevie Parle’s Dock Kitchen. Innovative British craftsmanship is Dixon’s USP, and his design firm is a London company to the bone; this positioning is intrinsic to his conceptual approach to not only the lofts within Upper Riverside, but also the adjacent Craft London. In the public spaces, too, Dixon has set about drawing the outside in: “We used this idea of sedimentary layers, of erosion and tides, in the design of the lobby—with its stepped curves, the designs look almost Art Deco, but at the same time they make it feel organic and local,” he says. Stepping into the dwellings, the Dixon touch—more copper than Midas—is immediately evident in the natural and warm materials and richly layered surfaces, which make use of copper, leather and wood. 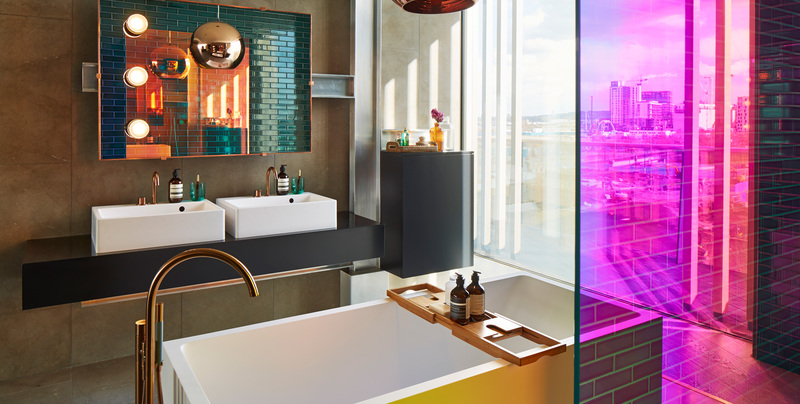 We asked Gareth Payne, the lead designer for Tom Dixon’s Design Research Studio Edition, what he’s enjoying around East London and at home. YOUR FAVOURITE PLACE TO EAT OUT IN EAST LONDON? Brunch at the Pavilion in Victoria Park, Stevie Parle’s Rotorino on Kingsland Road for something from southern Italy, or pizza from Yard Sale on Lower Clapton Road. Also, the Clove Club at Shoreditch Town Hall—chef Isaac McHale’s buttermilk fried chicken is exceptional. BEST SHOP IN EAST LONDON? The Midcentury Modern shows at the Erno Goldfinger-designed Haggerston School, and the Modern Warehouse in Hackney are great for mid-century classics. 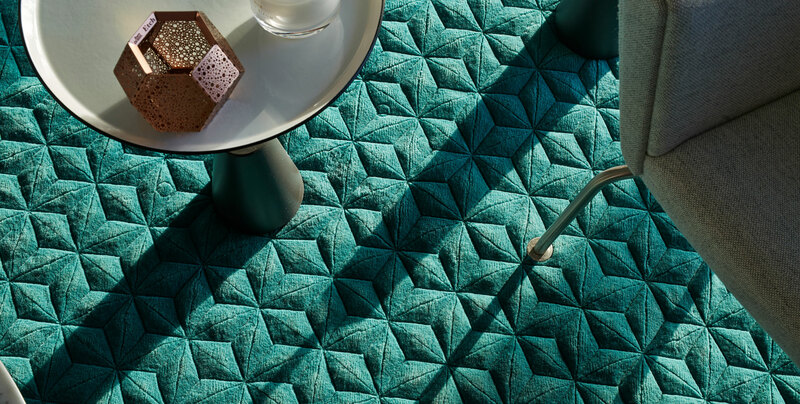 FAVOURITE PIECE OF FURNITURE IN YOUR HOME RIGHT NOW? A sample of one of Tom Dixon’s ‘Beat’ lights and a 1950s McIntosh sideboard. We also have lots of different chairs at home; favourites are either our Wegner ‘Wishbone’ chairs or the Ercol rocking chair. A well-worn pair of brogues, jeans and a shirt. The Electric Kool Aid Acid Test by Tom Wolfe. It’s about Ken Kesey and the Merry Pranksters travelling across America in a psychedelic school bus.